Cracking Crypt Prop is the Static Prop version of the Cracking Crypt. 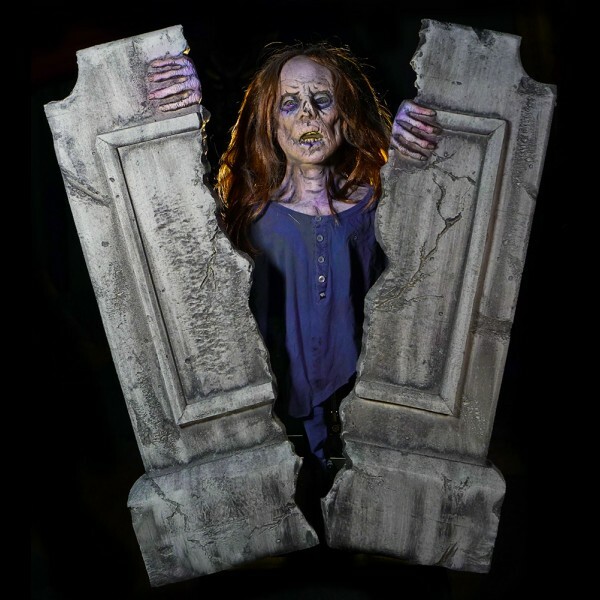 This tombstone and zombie is perfect for you Halloween display, haunt, or yard haunt. Made of latex and foam with metal armature. Made at Distortions Unlimited.